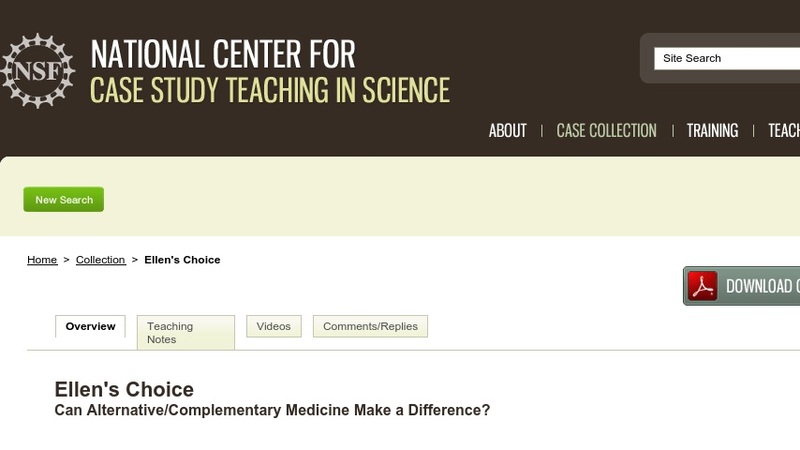 Ellen's Choice Can Alternative/Complementary Medicine Make a Difference? This case encourages students to explore various aspects of alternative and complementary medicine that might be helpful in treating a woman who is suffering from scoliosis. The case was developed for use in a variety of settings, ranging from an introductory anatomy and physiology course to a general health class where there is an interest in alternative/complementary medicine.